The Turks did not drive the Islamic State from the Syrian city of Jarablus. “Operation Euphrates Shield” was a shoddy performance. It had enormous continuity errors. 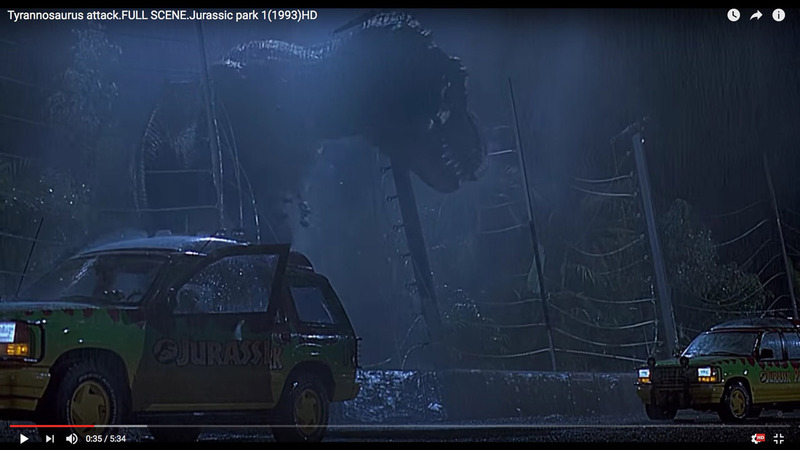 In the film Jurassic Park, for example. The Tyrannosaurus rex first appears on the other side of the low wall. Therefore the dinosaur must be standing on solid ground. Moreover it’s behind an electric fence. But by the end of the scene, there’s no fence. Also, we now see a sheer drop on the other side of the wall. 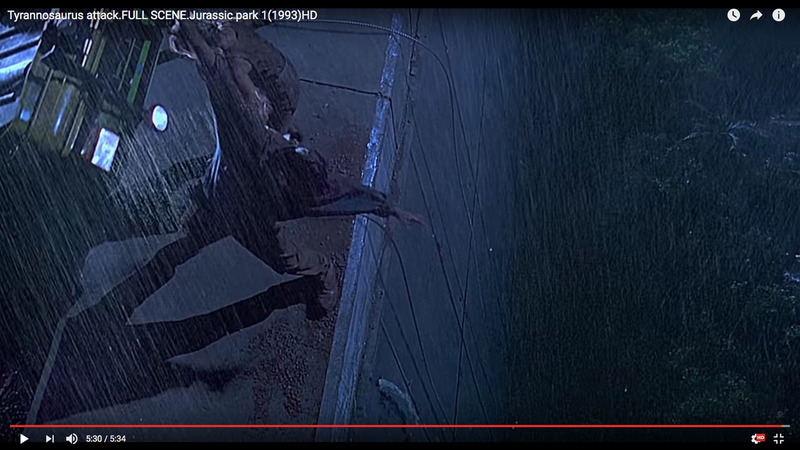 Almost all movies have continuity errors. They can be visual or audio. Less often, they’re informational. The following Syrian rebel groups allegedly took Jarablus back from the Islamic State. First of all, not one of these groups released combat video of the operation. Why not? Because there was no combat. 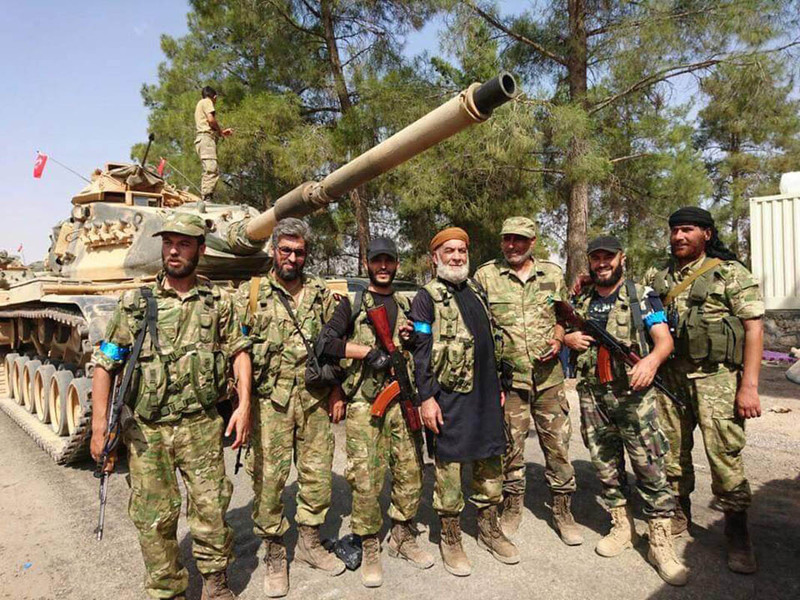 And the Turks say that these are the men who freed Jarablus in mere hours. Since they’re such magnificent fighters, of course. There are no air strikes in that video. In fact Turkey released the footage because journalism is dead. Reporters just parrot what nefarious groups and governments say. The agenda is to legitimize murder, extremism, and devolution. If everything improves, journalists will be out of a job. After all, reporting is almost 100 percent negative. Therefore journalists prolong the agony of millions. Watch the heavily sedated Recep Tayyip Erdoğan stumble his way through an explanation. It’s amazing how people fall in love with utterly pathological politicians. So, here’s a great continuity error. The Turkish media accidentally admitted that this “operation” was a lie. If the Turks had encircled Jarablus, how did the Islamic State escape? Jarablus is a vital conduit for the Islamic State. They use it to bring in weapons and send out terrorists. Yet they didn’t even fight for it. 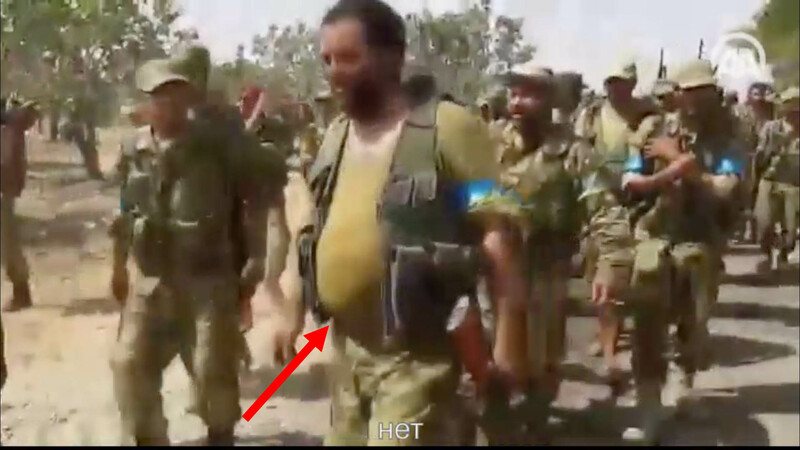 When confronted, they let men with enormous pot bellies take it. Seems like the Turks already forgot what they said about their Special Forces six weeks ago. “Maroon Berets” is the informal name of the Turkish Special Forces. In July they tried to kill Erdoğan, but he entrusted them to spearhead Operation Euphrates Shield anyway. Does anyone on the planet believe that? 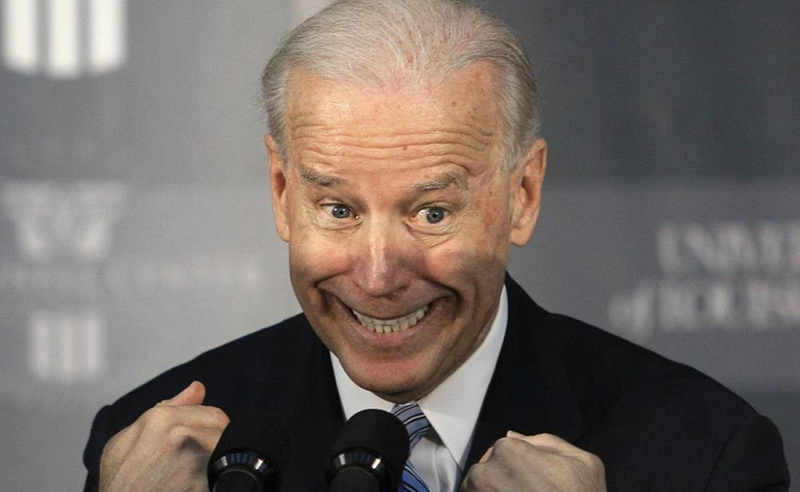 The most repulsive politician in American history is current vice president Joe Biden. By and large, everything about him is abnormal. Also he’s an imbecile. Here’s his comment on Operation Euphrates Shield. We have made it absolutely clear to the elements that were part of the Syrian Democratic Forces—the YPG—that participated [in the liberation of Manbij], that they must move back across the river. They cannot, will not, and under no circumstances get American support if they do not keep that commitment. 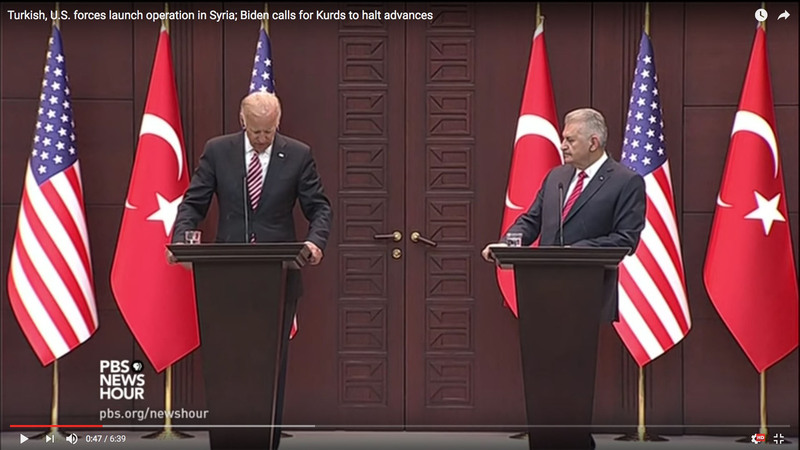 Breaking news for Vice President Biden: The US has never supported the YPG. Every American air strike is carried out on behalf of the Syrian Democratic Forces (QSD). Biden needs to listen to the Pentagon briefings. While some people think that it’s a distinction without a difference, they’re wrong. The QSD has large contingents of Arab League and allied strategic special operators attached to it. Those are the warriors who defeat every enemy on the battlefield. The QSD began winning all its battles about three weeks after coming into existence. Although Kurds are very brave, the YPG has a specific Marxist, atheist agenda. The Arab League and its allies are not fighting for that agenda. My guess is that Turkish president Erdoğan has had a mental breakdown. Either he arranged for the Islamic State to escape Jarablus, or he’s helping them hide there. In any event, there was no need to kill Abdulsettar Al-Cadiri, commander of the Jarabulus Military Council. It’s almost impossible to capture snipers. And I’m sure that the Turkish MIT killers had a rifle with a suppressor. Abdulsettar Al-Cadiri had Saudi bodyguards. Saudi Special Forces receive years of training in personal protection. For example, the Special Forces major below. He has several qualification badges for personal protection. As a result, the Saudis nabbed the Turkish agents. Besides training, Saudis have technology for locating snipers. And they never give up. Unique among the world’s armed forces, the Saudis created a “Pursuit and Assault” qualification badge. 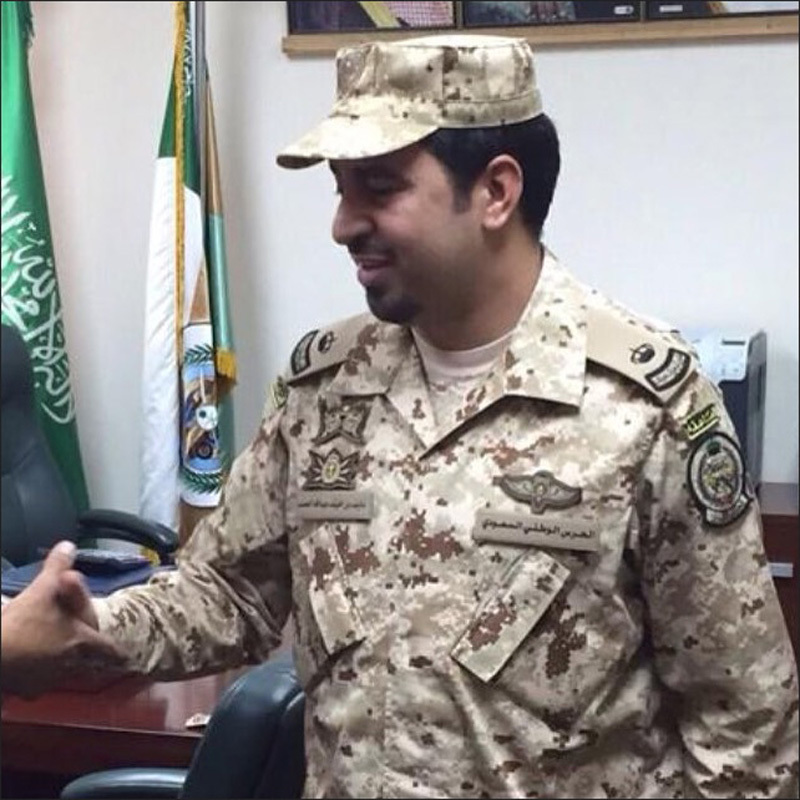 The Saudi Arabian National Guard major below wears it on his upper right chest. So the Turks simply picked the wrong target. Erdoğan killed Abdulsettar Al-Cadiri to send a message. The region must honor Turkey’s imperialist ambitions. Eventually the Turks will deeply regret doing this. In fact the retribution may have already begun. Erdoğan is acting like a man watching his world slip away. In addition to committing murder, the Turks are trying to be the Sunni Iran. Much as the rest of the world, Turkey vastly underestimates Arab League military capabilities. Consequently the Turks are making disastrous choices in Syria. 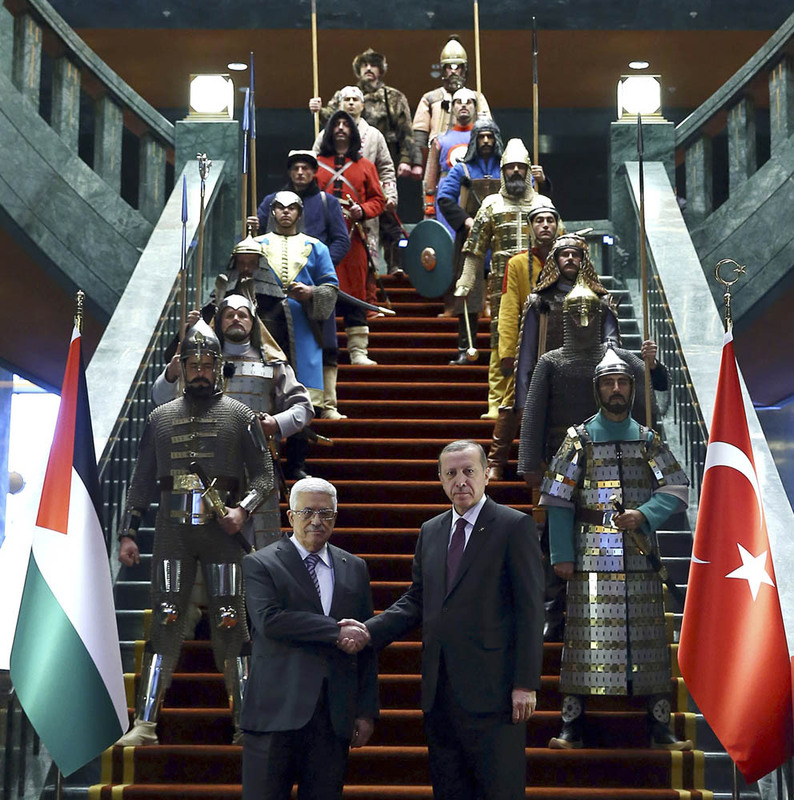 Rather than accept the new reality, Turkey wants to go back to the fifteenth century. This photo is very apt. Due to their unhealthy nostalgia for the Ottoman Empire, the Turks refuse to cooperate. Now they’re facing the Arab League. They may as well be using spears, maces, and battle axes. What’s more important than military training and advanced technology? The will to use them. Arab League leaders have the will to take on Russia, Iran, and Turkey. Simultaneously. Why? Because Russia, Iran, and Turkey are making life miserable for millions of people. Yet this isn’t personal. 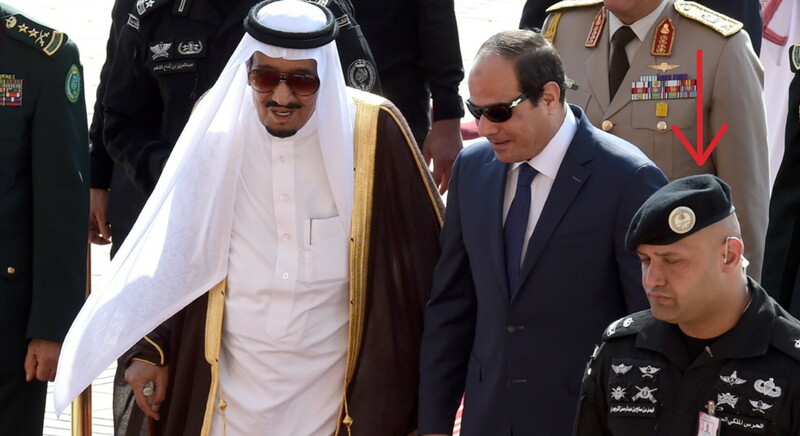 If Russia, Iran, and Turkey change their behavior, the Arab League will not hold grudges. There’s only one way to change the minds of the Russians, Iranians, and Turks. And what’s that, you ask. Make the costs of their actions outweigh the benefits. While we sit here, that’s what’s happening. Quietly. This article viewed 42239 times.